The biggest conference, which gathers all the inbound marketing specialists in one place, is HubSpot’s ‘Inbound Conference’ which is held every year. During it, a lot of interesting and creative innovations are announced every year. This time, HubSpot uncovered the launch of a free CRM system and a sales platform Sidekick, which is a sales acceleration product. By the help of it, the facilities of HubSpot can be transferred from the marketing department, that generates leads, to the sales department, which converts the leads into sales. 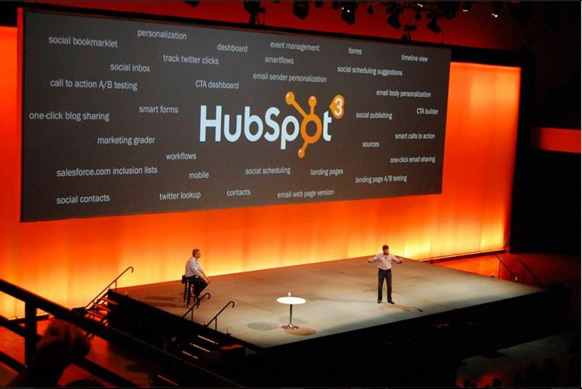 In addition, during this conference, HubSpot also unveiled 9 brand new features. In this article we will try to cover brief introductions to each and how they can be helpful for you if you are an excising or considering Hubspot user. This feature will let the marketers to customize content according to 3 parameters, which are. Visitor’s location. Knowing where the user is, can help websites to plan their future strategies and will assist them to figure out which information should be sent to him/her. Visitor’s device. It will let users adjust content according to the device they use. Referral source. This will help you to find out from where people came to your website, thus, you can make some effective decisions. Those companies who are specialized in inbound, handle with huge number of content every day. This feature will assist them to effectively organize everything, like assigning, scheduling and organizing content between multiple members of the inbound content team. Since 2014's HubSpot ‘Inbound Conference’ came with with multiple sales + marketing connecting channels there is also attribution reporting option for marketing and sales teams that allows them to recognize which campaigns influence conversions in sales process. HubSpot had revenue reporting in the past, however now, it will be accessible for other CRM systems as well. An email optimization, which is made to help us identify some email mistakes before sending them, which can reduce the risk of being appeared in the spam box. An email dashboard , which is made to offer better constructed data in one place. It’s a fact, that on average 23% of marketing databases decompose in a year. So, this new tool can help email marketing managers diagnose the health and engagement of their database. In this way, marketers can easily understand why some parts of their database are worsening and how to handle them easier. This is perhaps one of the best features for all Hubspot users. Branching logic lets you to make better workflow goals and this feature I think will make HubSpot's marketing platform better and more effective during the upcoming year. Another feature on new Hubspot marketing platform is the campaign wizard, which has a purpose to facilitate the creation of all campaign assets in one place, so, it can be easy to use and more accessible for the whole campaign team and managers. Lastly HubSpot also offered some streams in social inbox, in order to give some advice for quality checking and for helping professionals working on social to maximize their ROI. So, here are the 9 brand new features of #inbound14. It’s obvious that HubSpot is getting better and better day by day! Like what you read, please use the buttons above to share with your friends and colleagues or let us know about your thoughts in the comments section below!